OKLAHOMA CITY – Governor Mary Fallin today signed House Bill (HB) 1020XX, the Fiscal Year 2018 budget bill, into law. The $6.98 billion budget covers the current fiscal year, which ends June 30. The measure cuts state spending by about $44.7 million and requires every state agency to cut about 2 percent from their budgets over the next four months. It is the result of two special sessions that Fallin convened after three health-related agencies were plunged into a $214 million budget shortfall last August when a proposed smoking cessation fee was struck down by the state Supreme Court. 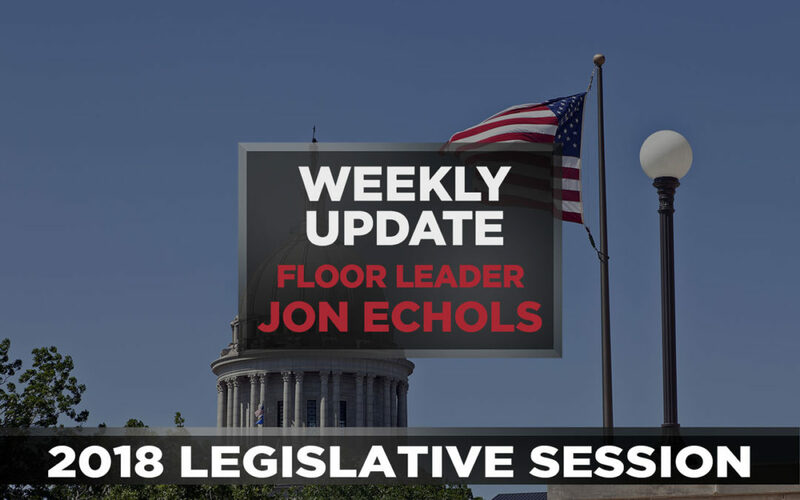 Inclement weather that closed the House two days last week forced dozens of bills to be on the agenda in many House committees in order to meet the March 1 deadline for passing all House bills and House joint resolutions out of standing committees. 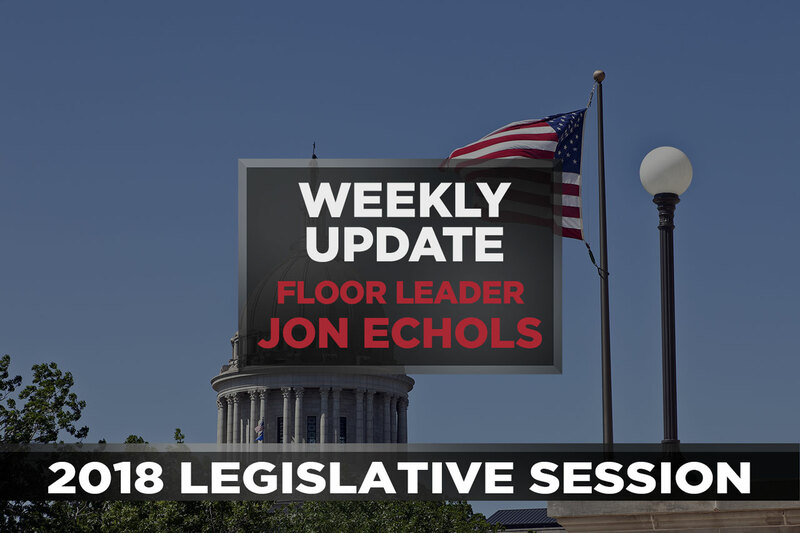 Appropriations & Budget subcommittees finished work on House bills last week. Bills passed in committee are now eligible to be heard on the House floor. Committees likely will resume meeting the week of March 26 to consider Senate bills. OKLAHOMA CITY – A bill to modify state curriculum standards has unanimously passed the House Common Education committee with a vote of 11 to 0. House Bill 3471, authored Rep. John Paul Jordan, requires the U.S. History component of Oklahoma’s social studies curriculum to include information about Juneteenth, which commemorates the emancipation of enslaved African Americans. Rep. George Young, the leader of the Oklahoma Black Caucus, added a friendly amendment to the legislation that would make June 19 an official state holiday in recognition of Juneteenth. The legislation is now ready to be heard on the floor of the Oklahoma House of Representatives. Once it passes the House, it will then move to the Senate where the bill is being carried by State Sen. Anastasia Pittman. “If you like your doctor you can keep your doctor”… For Real! OKLAHOMA CITY – People with Preferred Provider Organization (PPO) policies are closer to being able to see providers of their choice and avoid expensive out-of-network (OON) deductibles and additional out-of-pocket charges with the passage of House Bill 3228, The Patient Protection Act. The measure increases healthcare access at no additional cost. “Even if doctors are no longer in your health insurance network, you’ll be able to keep them and they’ll get paid as in-network providers as long as the doctors agree to the in-network benefits and deductibles,” said state Rep. Lewis Moore, R-Arcadia and the chairman of the House Insurance Committee. Moore is the author of HB3228. Two additional measures by Moore also won passage in committee Tuesday. Efforts to repeal a $2.50 tax every month on every covered person to cover losses in the Affordable Care Act’s federal insurance exchange for health insurance policies passed in the House Insurance Committee on Tuesday, in the form of House Bill 3244. The tax is projected to cost Oklahoma policyholders about $215 million dollars the first year. Doctors who refer patients with PPO coverage to out-of-network providers for care cannot be “Delisted” or otherwise removed from the Health Care Network as stated in House Bill 3229, which also passed out of committee on Tuesday. The bills are now eligible for a vote by the entire House of Representatives. In the wake of the tragic school shooting in Florida, Oklahoma Senate President Pro Tempore Mike Schulz and Lt. Governor Todd Lamb met this week to further the conversation on school security and safety. In 2012, Lt. Governor Lamb chaired the Oklahoma Commission on School Security (OCSS), which issued a detailed report of findings and recommendations on school security and safety issues. Lamb said he plans to meet again with those who served on the 2012 commission, and whose work has served as a national model for other states studying school security issues. Pro Tem Schulz said he appreciates Lamb sharing his input and expertise earned after more than a decade of work on school security. Legislation that Lamb sponsored while a member of the Senate has served as model legislation for other states reviewing school security issues, Schulz said. Schulz said he wanted to further the conversation on school security as legislators consider, in the wake of the Florida tragedy, if any further action is necessary on school security. “In the wake of the tragedy in Florida, it is time to review the policies and action plans of the OCSS, and to discuss any new polices that could aid in further strengthening school security. I look forward to meeting with the commission, and I commend Senator Schulz for his dedication in supporting the same. The security of our students, teachers and support personnel must be a daily priority,” Lamb said. OKLAHOMA CITY – Governor Mary Fallin today announced she has selected Oklahoma Tax Commissioner Clark Jolley to serve on her executive Cabinet as secretary of finance, administration and information technology. Jolley, of Edmond, is vice chairman of the Tax Commission and a former state senator. His appointment requires Senate confirmation. He succeeds Preston Doerflinger, who resigned last month. As secretary of finance, information and technology, Jolley will be responsible for advising the governor on fiscal policies. Jolley served in the state Senate from 2004 until 2016, the last five years as chairman of the powerful Senate Appropriations Committee. He could not seek re-election because of 12-year legislative term limits. He also has served as an adjunct professor at Oklahoma Christian University and Mid-America Christian University.